In any serious situation, they will simply panic and run about frantically! Their only effective way of avoiding attacks is disguising themselves as dead bones, even then their panicky attitude will blow their cover. 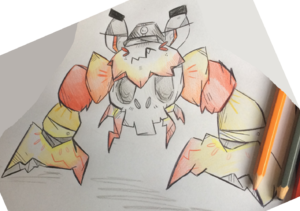 Crabin, the First Mate tuxemon, is a Water-type monster. 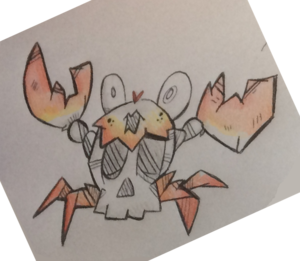 They enjoy clicking to sea shanties with their huge claws! This page was last modified on 6 December 2017, at 07:22.